Spring has finally arrived, and as we change over to the sports we enjoy during the warmer months, it’s easy to forget that different sports utilize different sets of muscles, different postures, and gear and clothing that we’ve become unfamiliar with. Today, Dr. William Buffone of North Fork Podiatry/Three Village Podiatry is sharing information regarding a couple of the most common warm-weather injuries he sees. Running: Stress fractures of the foot. Small cracks in a bone caused by recurring impact on feet are known as stress fractures. When beginning a new running routine, specialists recommend starting out slowly and then increasing your distance by no more than 10 percent each week. Any runners who are in training need to get adequate rest between runs to avoid injury. 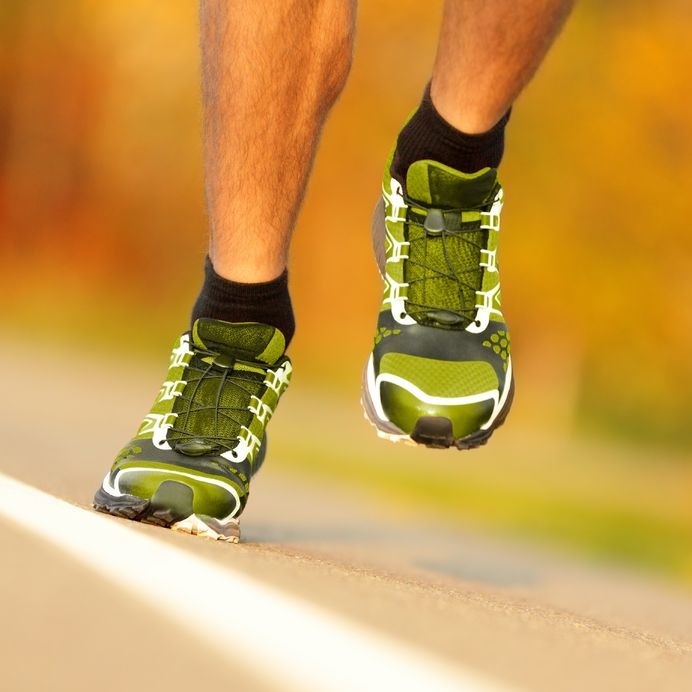 Wearing athletic shoes with support is particularly important. If you feel any pain or discomfort while running, you should visit a podiatrist and purchase custom orthotics before beginning a new running program. Skateboarding: Repeated foot impact can take its toll. Fractures and sprains of the ankle and foot are common among skateboarders. Injuries vary from minor bruises and open cuts to more severe injuries that might necessitate surgery. When skateboarding, wearing protective gear is critical. Protective shoes are also recommended and orthotic inserts can deliver extra support. The repetitive, forceful motions necessary for skateboarding can also cause painful foot, ankle, and heel conditions such as plantar fasciitis, bone spurs, sprains, and Achilles tendonitis. Golf: Foot pain can affect your swing. Your feet need to be in top condition if you want your golf swing to be at its best. Pain that is located in the ball of your foot, big toe or heel can make your golf swing suffer. Heel pain resulting from a bone spur or plantar fasciitis can make it challenging to maintain a solid stance when swinging a golf club. Another condition – neuroma - is a thickening of the tissue that surrounds the nerve that leads to the toes. When you swing a golf club and transfer your weight from one foot to the other, a neuroma can make this action painful. Arthritis of the big toe joint or ankle can also make it uncomfortable to follow through on your golf swing. If you have developed corns or calluses on your feet from walking the course, orthotics can help. If you don’t want foot discomfort to interfere with your warm weather recreation, call the office of Dr. William Buffone of North Fork Podiatry/Three Village Podiatry today to schedule a consultation. You can reach Three Village Podiatry at (631) 474-3338, North Fork Podiatry (Southold) at (631) 765-6777 or North Fork Podiatry (Riverhead) at (631) 419-7107 today or schedule your appointment online.